This week, saw the 40th anniversary of U2 being formed. So here is a U2 Top 40. Only joking, it’s The Friday Five, not The Friday Forty. Oh, i’m going to see Supersonic on Sunday. Can’t wait. 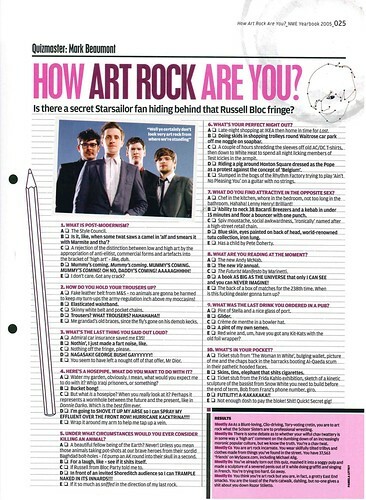 A trip to the recent past this week to February 2007, a month when Bloc Party appeared on the cover of AU, formerly known as Alternative Ulster. 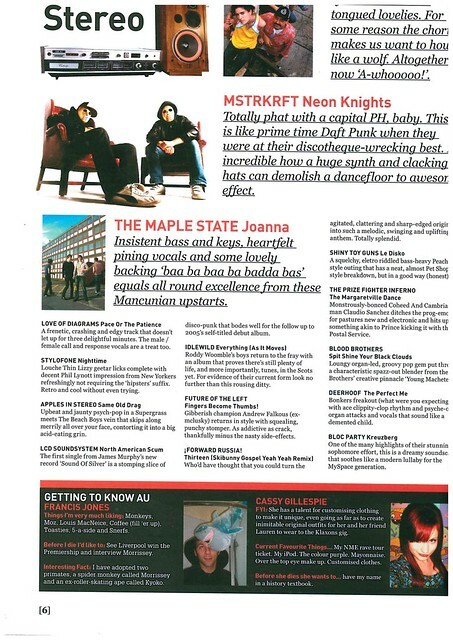 On the AU stereo this month was songs by CSS, Stylofone, Idlewild, Future Of The Left, Shiny Toy Guns and cover artist Bloc Party. The Goodies and Baddies list makes for interesting reading, with Sylvester Stallone being listed a Goodie due to the new Rocky movie not being awful. I’m guessing the magazine went to print before Stallone appeared on the pitch at Goodison Park waving an Everton scarf in January 2007. 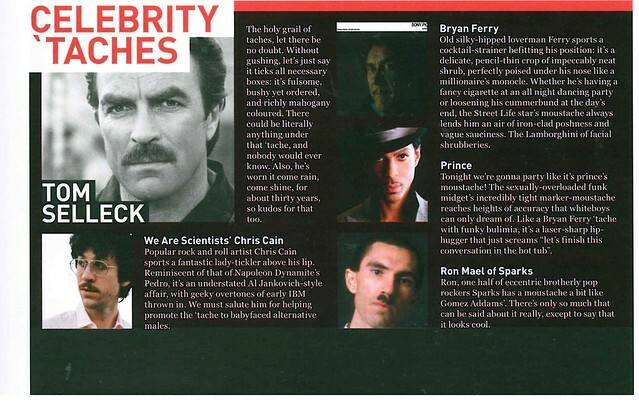 Also on the Goodies List was Victoria Beckham (for stopping David becoming a Scientologist), Ronnie O’Sullivan and Noel Edmonds. On the Baddies List was a Goodie, well, Jade Goody, for a variety of reasons. Preston was also on the list. The singer from The Ordinary Boys, rather than the town, as was Ian McCullough and the band James. “What’s On Your Ipod?” is a feature stopping people in the street and asking what’s on their Ipod. Simple enough. Among those stopped was Joe Lindsay, he of Getaways fame. His three songs are Big Julie by Jarvis Cocker, DJ’s Got A Gun by Robots In Disguise and Yesterday’s Folks by US69. An amazing fact about him (according to the feature) is that he can do a “passable” impression of Christopher Walken. 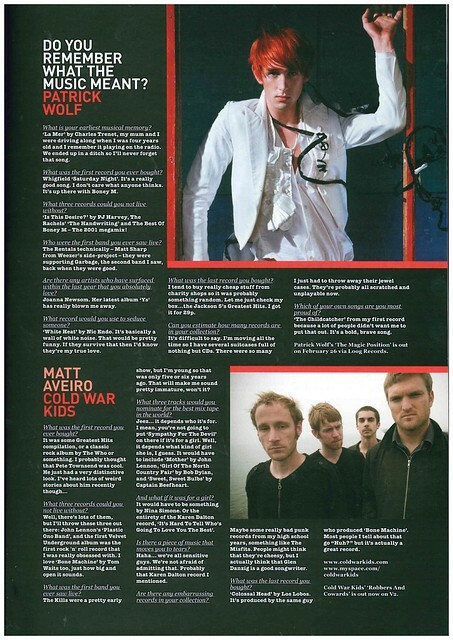 Patrick Wolf is interviewed about his music collection. His first record bought was Saturday Night by Whigfield. 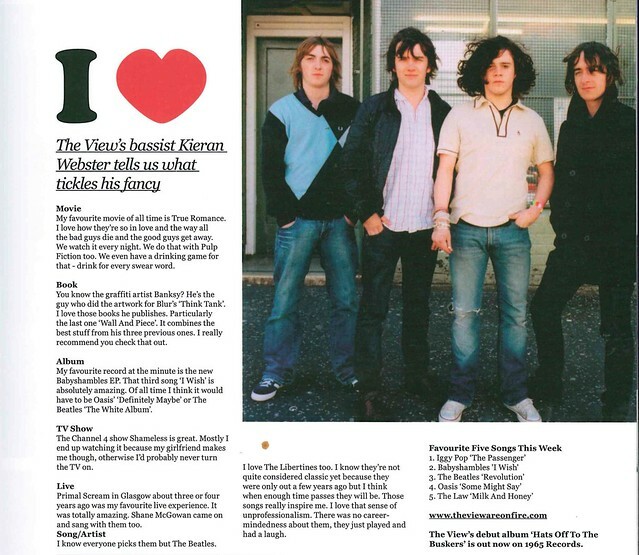 Having just released their debut album, Kieran Webster from The View is interviewed about his favourite things. His favourite TV show is Shameless (Gerard Kearns, AKA Ian Gallagher would appear in the video for The Don later in the year) and his favourite live band was Primal Scream. 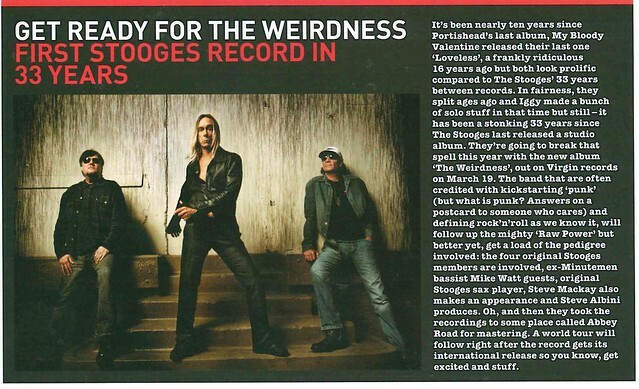 In news, The Stooges were set to release a new album, their first in 33 years, while In Case Of Fire were in the studio working on a new album. Side projects get looked at in a feature looking at the good, the bad and the weird. Elliott Smith, who died in 2003, gets a double page spread, with a guide for those looking to purchase from his back catalogue. 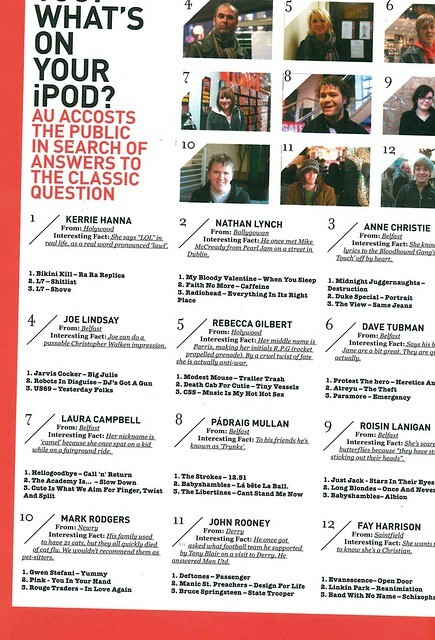 David Bowie also got a double page feature, with AU doing an A to Z guide to his career. 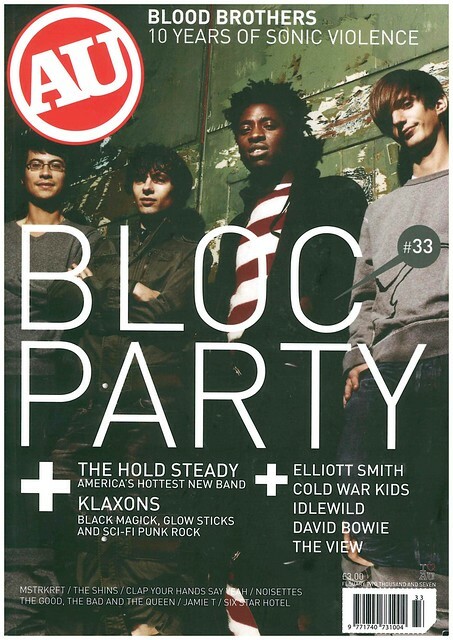 Hotly tipped new band The Klaxons get a three page feature as they prepare to release their debut album, which is followed by six pages of cover stars Bloc Party. 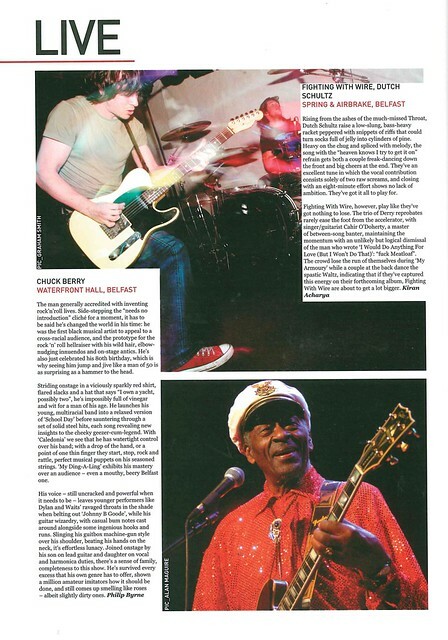 In live reviews, there is a review of Chuck Berry’s recent gig at Waterfront Hall. Upcoming gigs include Nerina Pallot at Spring and Airbreak, Badly Drawn Boy at Mandela Hall, Razorlight doing two nights at Waterfront Hall and Amy Winehouse at Ulster Hall. 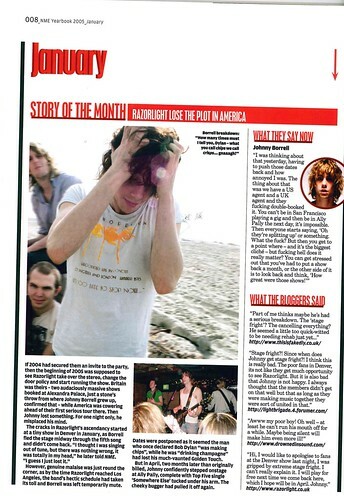 Rather misleading title this week, as NME brings out a yearbook to look back at 2005, than forward. 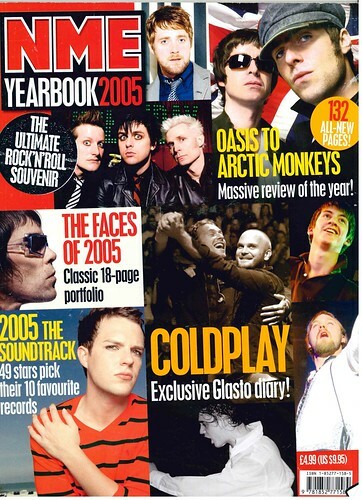 The cover stars, are a series of stars from the year, such as Oasis, Arctic Monkeys, Coldplay, and Green Day. The review of the year, unsurprisingly, begins in January, with the year starting off with a feud between The Killers and The Bravery. 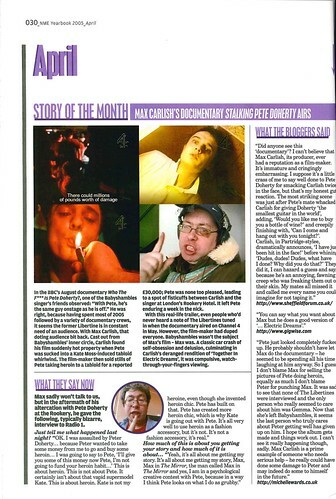 February’s story of the month was the NME Awards. 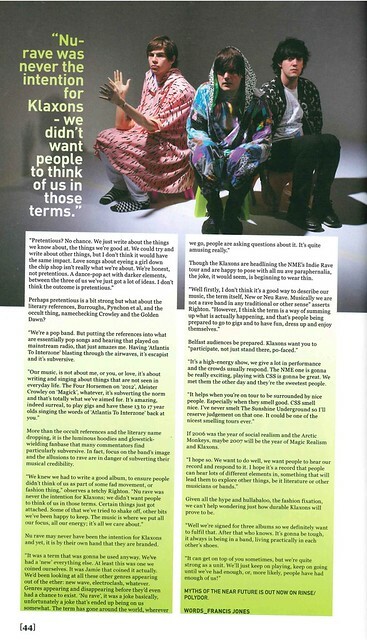 Curiously, with their lead story each month, NME include a selection of choice quotes from various music bloggers. 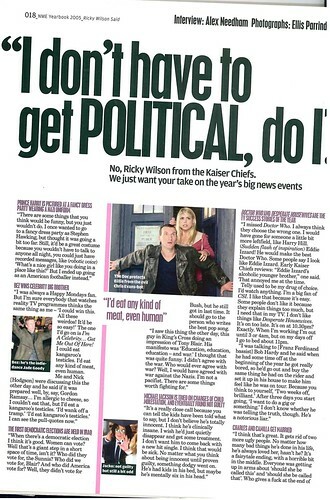 Ricky Wilson of Kaiser Chiefs gets four pages talking about the big news stories of 2005, including the return of Doctor Who, which he approved of, but not the choice of doctor. In March, the Feud Of The Month was within Snow Patrol, as Bassist Mark McClelland was sacked. Meanwhile, Bono declared himself a fan of The Futureheads. By May, Make Poverty History wristbands were the Fashion Item Of The Month, while the feud between The Killers and The Bravery escalated to be Feud Of The Month for May. 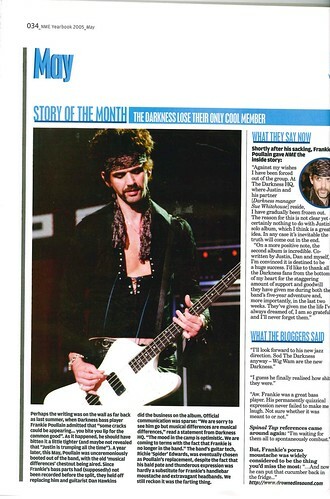 But the big news, was that The Darkness lost “Their only cool member” with the departure of Frankie Poullain. Piers Morgan gets four pages, where he reviews the stories that filled the biggest amount of column inches in the tabloids. A series of stars get Q and A’d about their year. The best thing someone said to Richard Archer from Hard-Fi was when somebody informed him that Brentford had went top of the league. Coldplay get six pages, most of it photos, as they present their favourite photos from their year, which saw them release their third album. Oasis gig at City Of Manchester Stadium, their first at the venue since it opened in 2003 was Gig Of The Month for July, but it was another gig, Live 8, which was the Story Of The Month. 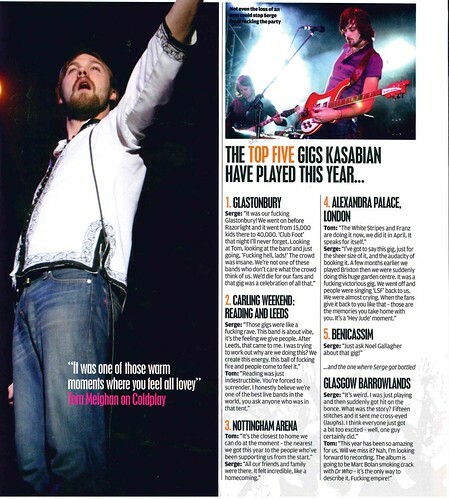 Kasabian get a two page feature where they list their Top Ten gigs they attended in 2005, with The Prodigy at V Festival being the best. 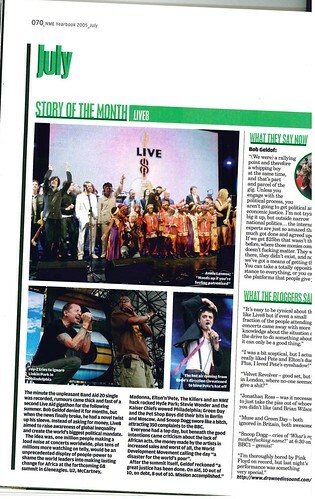 Across the page, they list their Top Five gigs played, with Glastonbury coming out on top. 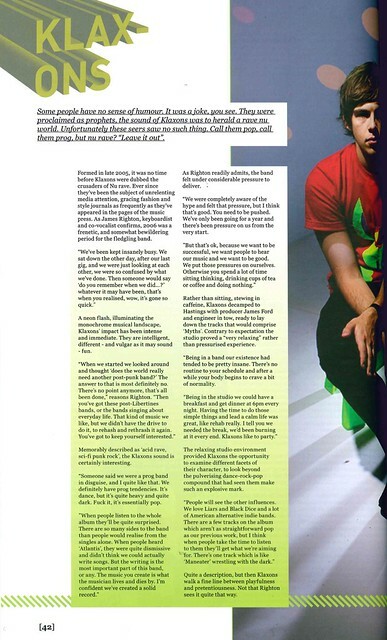 Four pages get dedicated to lyrics, as acts such as Kaiser Chiefs, Hard-Fi and Razorlight discuss the lyrical content of some of their big hits from the year. Where in 2005 could you find the coolest bands on the planet? Yorkshire. 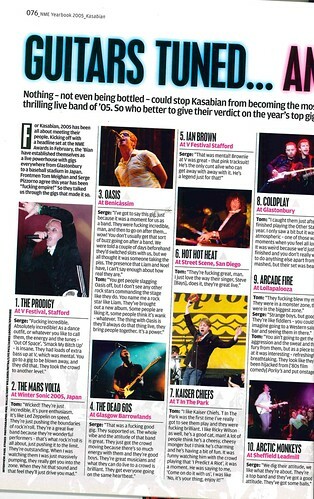 Yorkshire was so cool in 2005, that NME did a full page on how cool it was. 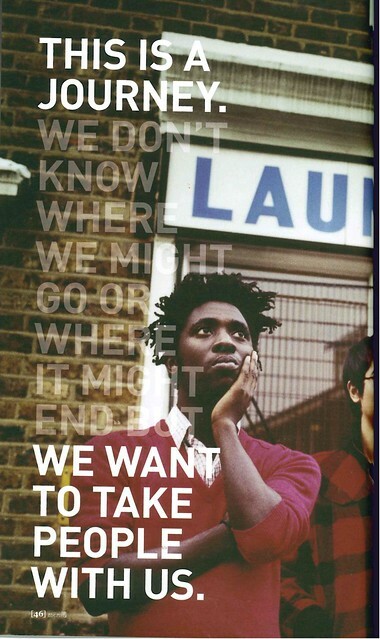 Like Coldplay, Bloc Party get a four page photo diary, looking back at their year. By October, The Killers had moved on from The Bravery, and were now feuding with Fall Out Boy. 2005. The year of The Killers having feuds.